We are instrumental in offering a wide array of Clutch Plate Assembly to our valued patrons. We offer a high grade range of Plate Assemblies to our valued clients. They are highly reliable & are manufactured form high quality raw material. They are also offered at highly affordable prices. Having a positive quality management system, we are involved in presenting a comprehensive compilation of Crane Clutch Plates Assembly. We are counted among the prominent organizations engaged in supplying a wide array of Clutch Plate Assembly. With the help of keen task force, we are highly betrothed in offering an extensive array of Clutch Plate Assembly. 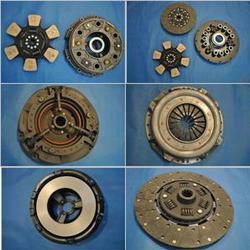 We are the dealers for all types of Clutch Plate Assembly. 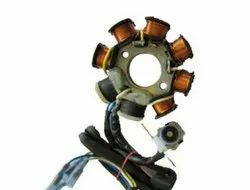 Auto clutch 3 finger pressure plate assembly available for ashok leyland latest model euro 3 and euro 4 U-Trucks at reasonable prices.